After turning on the GDPR functionality in the HubSpot platform, a property called "Legal basis for processing contact's data" will be added to each contact. 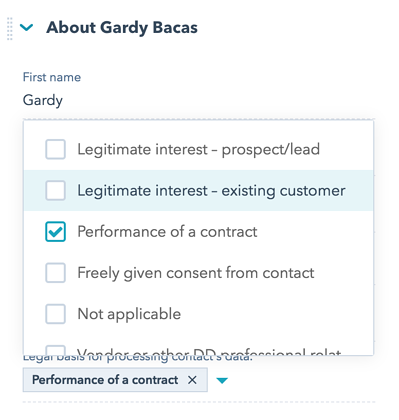 In your webforms to convert visitors to leads, you can select one of three types of form notifications: Legitimate interest, Consent and Consent to store and process. 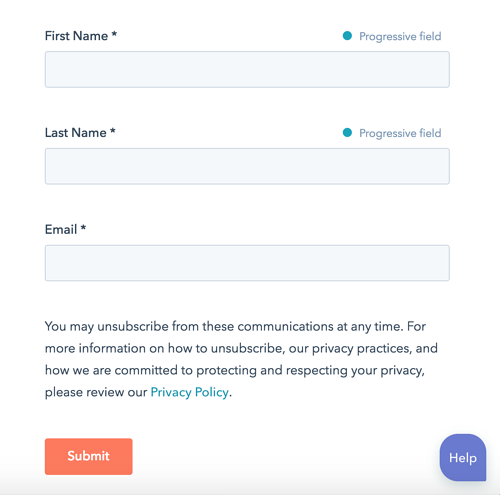 HubSpot comes with recommended privacy text for your web forms, but you can also customize the text either in the settings or by form. HubSpot will also capture the text you used for a web form. This way you can document how you got people contact details, and the exact text that was on the form when they gave you their name. 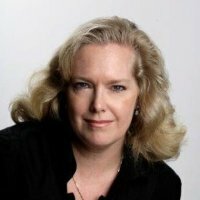 Don´t let GDPR kill your conversion rates. Contact our team to learn more about how to use the HubSpot marketing platform to improve your demand generation while ensuring GDPR compliance. Please note that I am not a lawyer, but I have spent a lot of time discussing how to best ensure GDPR compliance with lawyers, industry experts and Digital Doorway customers.